The week in Seoul provided the opportunity to experiment with the advanced toilet technology in my hotel room. The control panel had four reasonably self-explanatory buttons for bottom spray, bottom jet, lady front bottom and blow dry functions. Although some of the other buttons controlled the strength and directions of the water jets, there were a few which seemed to have no immediate effect. 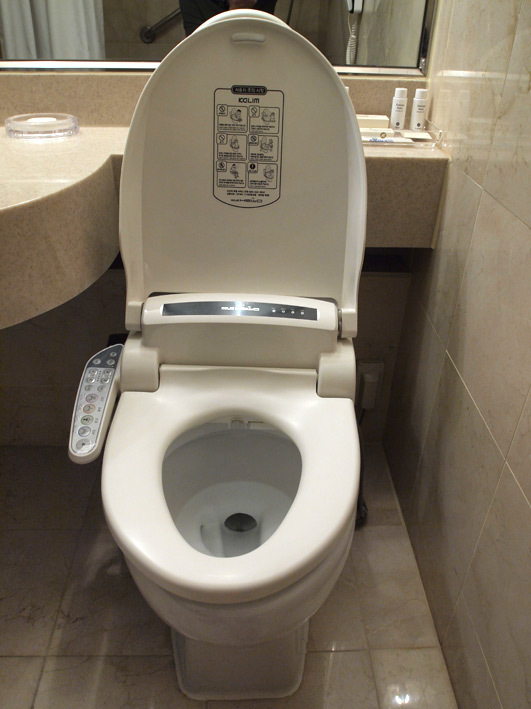 However, one button must have activated the seat warmer which I noticed with great delight during a late night excursion. 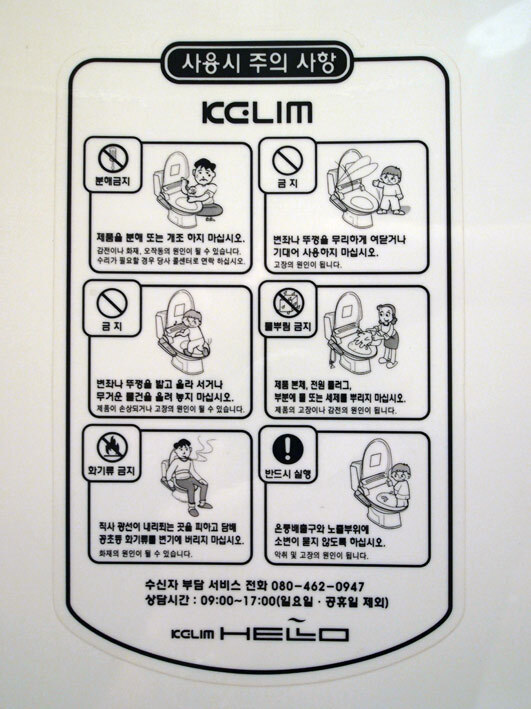 Among other things, the safety instructions on the lid warns children not to stand on the loo while peeing with their tongues hanging out and advises adults not to smoke, presumably as the device pumps out ozone (which can be flammable) to eradicate evil smells. The latest machines in Japan provide music to relax the customer and can even provide feedback from an analysis of the deposits. This obsession with cleanliness does not seem to have occupied the rest of the world. 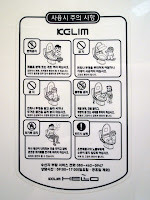 I wonder why American germaphobes have not embraced such technology?